Enter your websiteâ€™s domain name into the text area above and click to continue. Enter your keywords you would like your website to rank on the 1st page for. Weâ€ll analyse your website & competition and get right back in touch! Read More…. 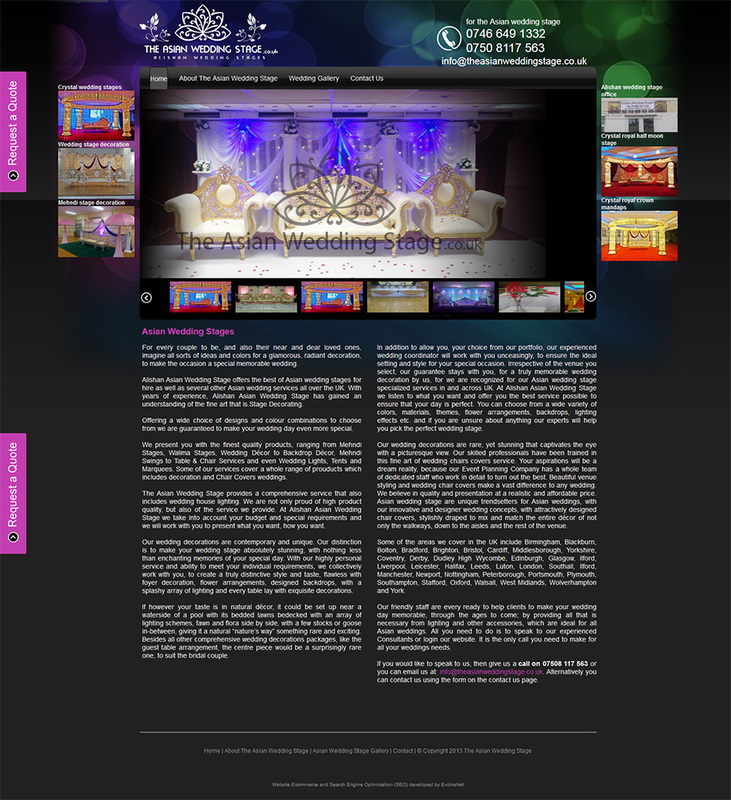 The Asian Wedding Stage, based in Birmingham, United Kingdom provides stylish wedding and mehndi stage decoration services.We started SEO for this website 1 year ago, and it has dominated its industry by being on page 1 for all of its keywords. It’s attracted a huge amount of traffic and high conversions. 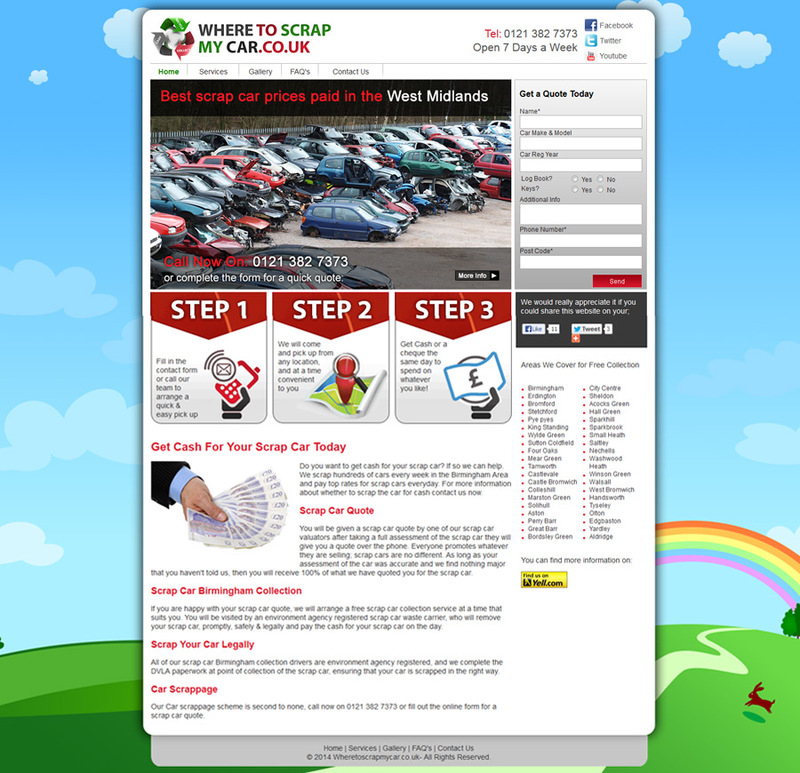 Wheretoscrapcar is a leading scrap car dealers based in Birmingham, UK. This particular website did very well in terms of SEO due to our involvement from the offset. All of their keywords are now on page 1 of Google and other search engines. 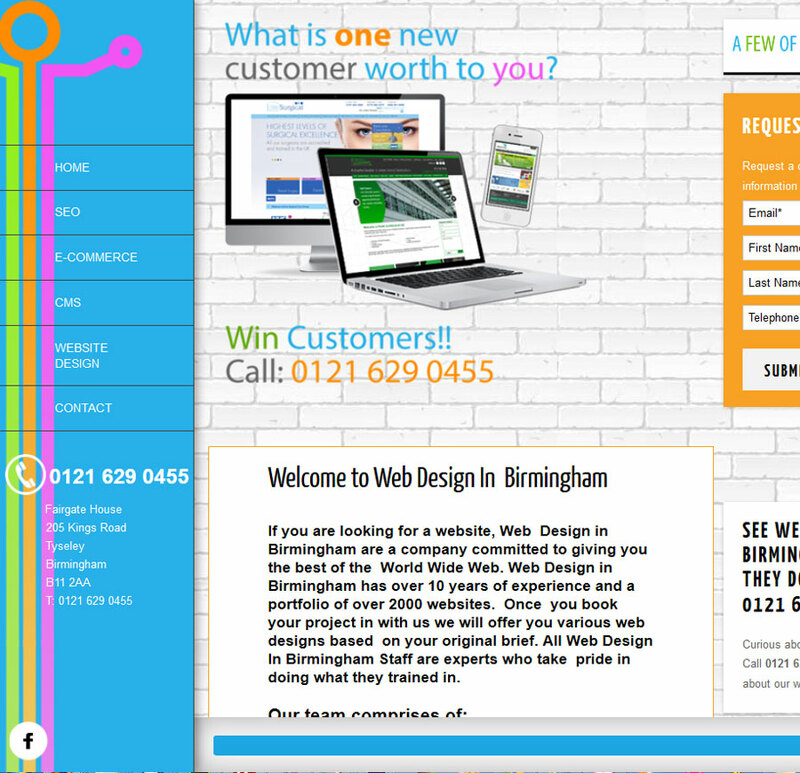 Web Design Birmingham is a professional web designing company which is located in Birmingham, United Kingdom. We started SEO for this website from the onset and it had a big impact in terms of the traffic and conversions. All of the keywords are now ranked highly in Google and other search engines. 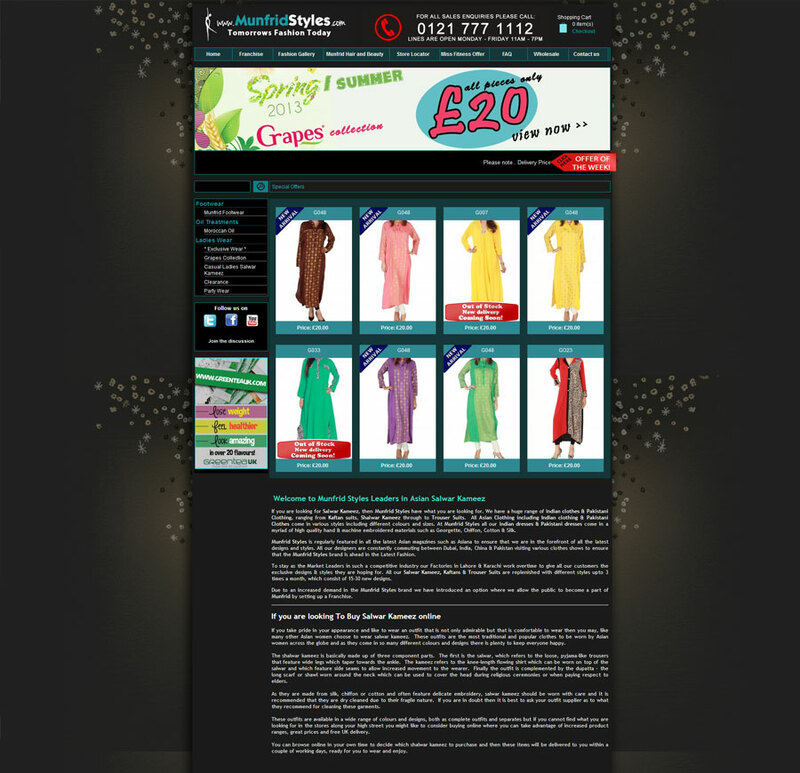 Munfrid styles offer exclusive collection of Asian clothing in Birmingham, UK. The client came to us with poor traffic and conversion rates. We started SEO with them and after 6 weeks, their keywords started ranking quite high in search engines. It had a big impact in terms of the traffic and conversions. 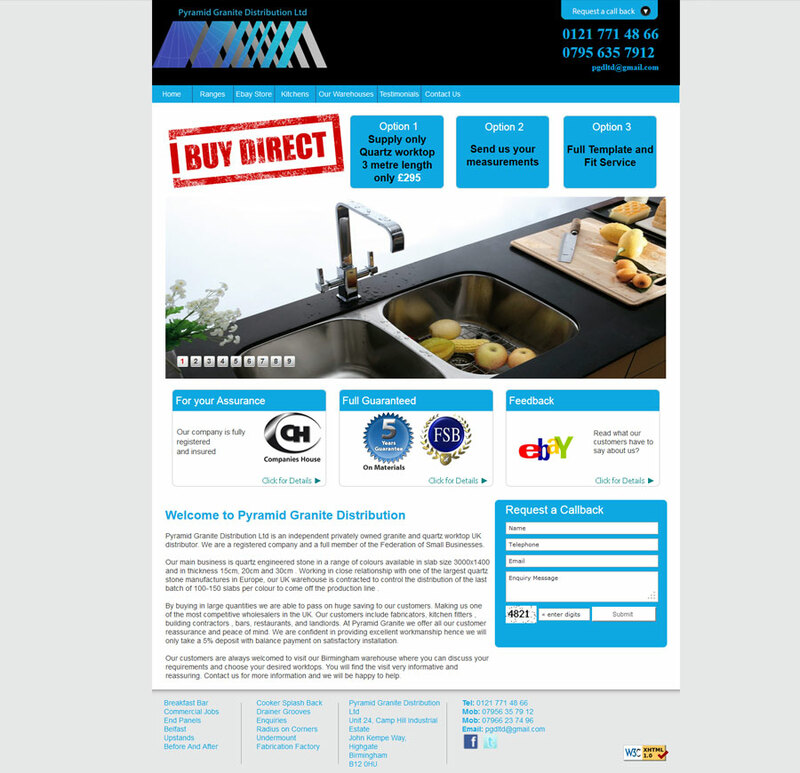 Pyramid Granite Distribution is a granite and quartz worktops supplier. The client came to us with poor traffic and sales. 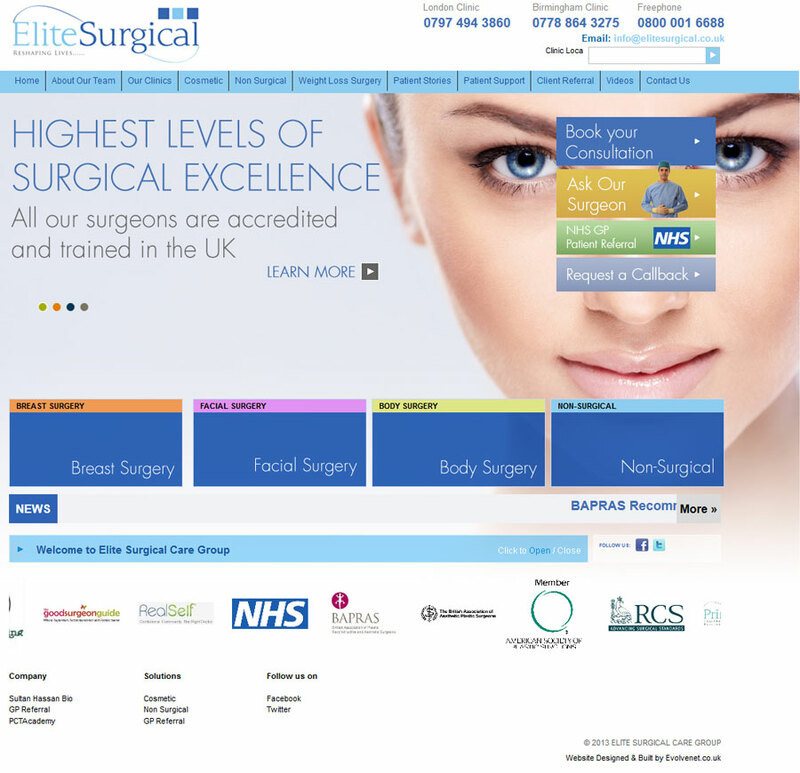 Elite surgical specializes in cosmetic surgery, weight loss surgery and non surgical cosmetic treatment. This client was having 20-30 visitors coming to their site each day. After starting SEO with them, their traffic dramatically increased to an average of 130 visitors per day and their traffic is increasing, as we are now tageting other keywords.